Leading Manufacturer of industrial cabinet cooling coil, steam coil, industrial condenser coil, chilled water cooling coil, evaporator cooling coil and booster coil from Coimbatore. With the assistance of our talented workforce, we are specialized in trading a range of Industrial Cabinet Cooling Coil, also known as Chilled Water Basic Coil, which is extensively used for commercial and domesticpurposes. 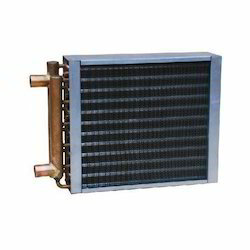 These offered products have copper tubes and aluminum fins with cooper headers, which makes thecooling effective. These coils are ideal for pharmaceutical processing and storage, food storage and processing,military vehicle and industrial processes. We offer our products to our invaluable customers at industry leading prices. 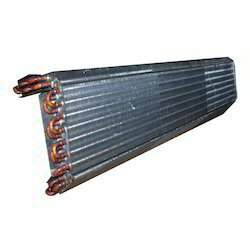 We are involved in providing Industrial Condenser Coil. Besides, the product is sternly tested on well-defined quality norms to make sure its performance. Along with this, to defend this assortment from getting defected during delivery, we provide these after packing in moisture proof packing material. We are a unique entity in the industry, actively committed towards manufacturing and exporting an optimum quality range of Chilled Water Cooling Coil. In accordance with the set industry standards, these coils are manufactured by our skilled professionals using high grade steel material and latest technology. Owing to their superior strength and easy installation features, the offered coils are highly demanded among our clients. Moreover, to ensure the optimum quality, these coils are stringently tested by our quality experts on various quality parameters. 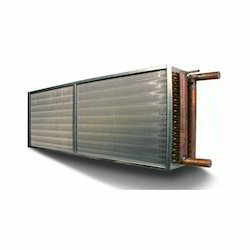 Assisted by a team of hardworking professionals, we have been able to offer a wide gamut of Evaporating Cooling Coil. All our products are developed by a team of adroit professionals employing advanced machines and tools. A team of quality analyzers stringently examine all our products on varied parameters to ensure their defect-free nature. Moreover, customers can avail our coils from us by paying via varied modes as per their convenience. 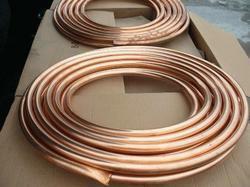 Counted amongst the leading entities of this domain, we are affianced in offering Booster Coil. Booster Coil can be produced with a variety of casings and headers. Heavy walled copper and custom fittings are available to withstand extreme pressure tolerances. We can manufacture in 1 to 4 row designs. Custom designed circuits and manifolds will maximize your applications efficiency. Let our experts work with you to manufacture a top of the line booster coil designe d specifically for your needs. 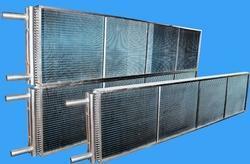 We are known to offer the high quality of Industrial Heat Exchanger Coil. 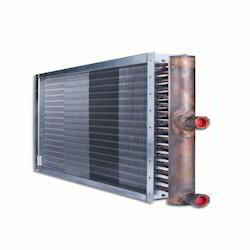 These exchangers coils are widely used for their varied use of condensation of vapors and cooling fluids. Our products are developed in our modern unit using superior grade materials. Before final dispatch, the offered coil is rigorously checked against different quality parameters in order to provide a flawless supply at clients' end. 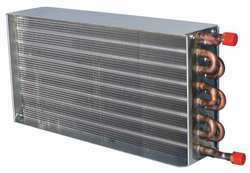 Looking for Cooling Condenser Coils ?